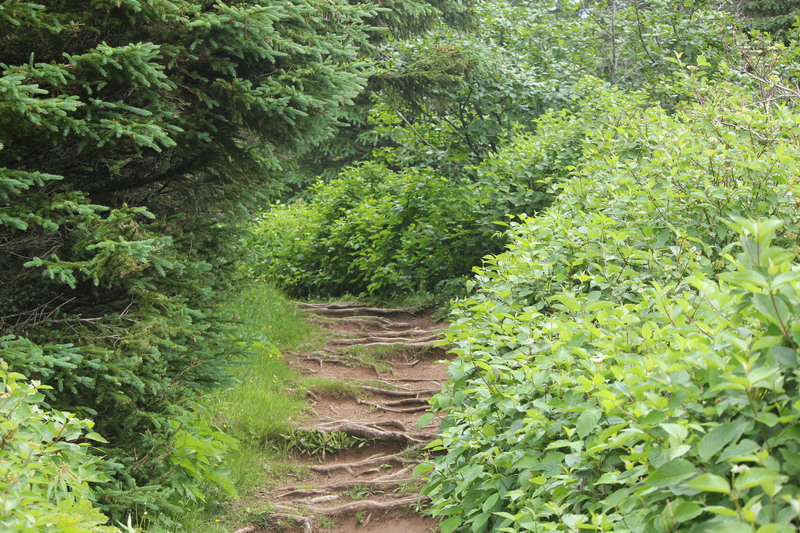 Canada is truly blessed with beautiful places to visit. 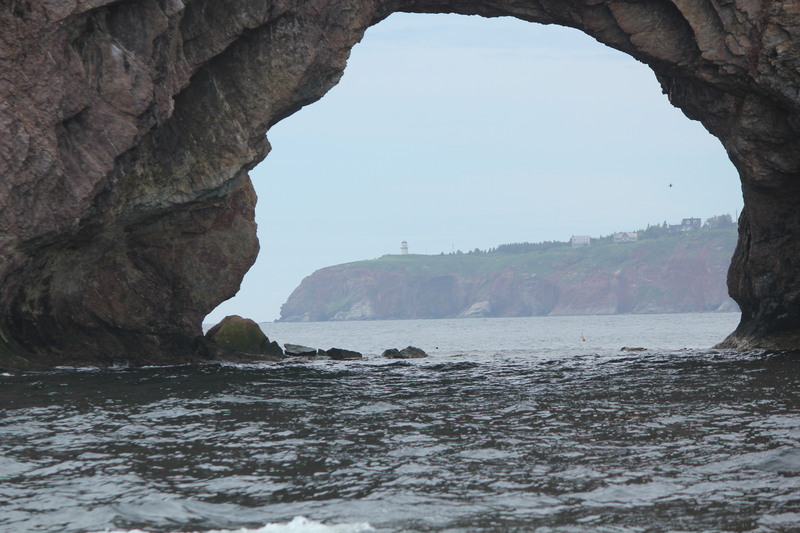 On my last trip, I was swept away by the magic of one of these beautiful destinations – Percé, Quebec, which is on the tip of the Gaspe Peninsula. We stayed in La Normandie Hotel, which is a real treat. 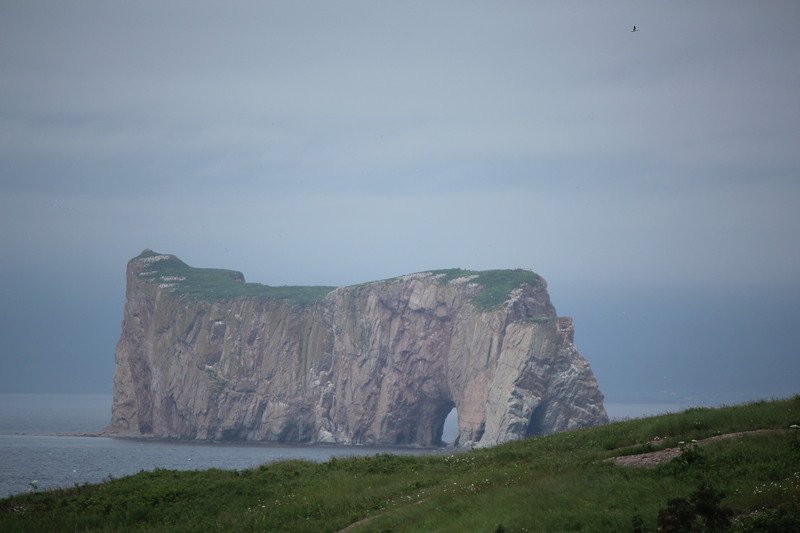 The sliding glass doors in our room opened up to a beautiful lawn that was right on the boardwalk along the beach and had the best view of the Percé rock. 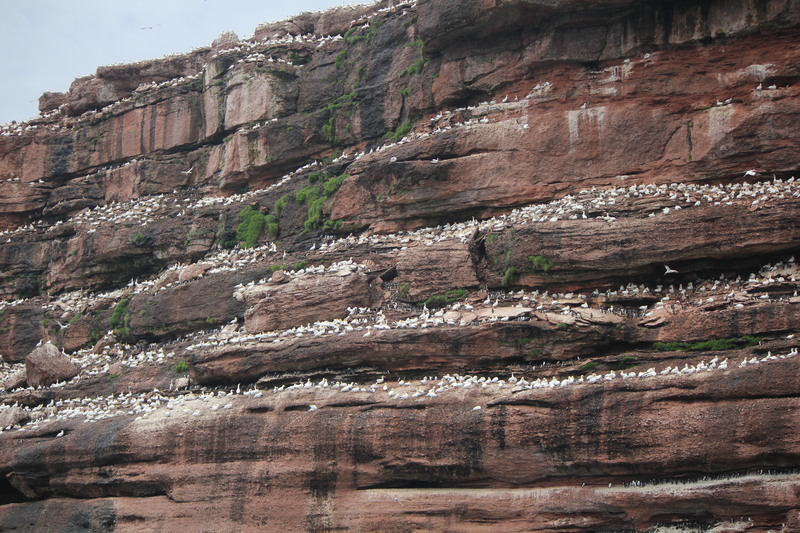 Across the bay, we could also see Bonaventure Island which is a nature preserve and home to some of the largest groups of migratory seabirds in the world. 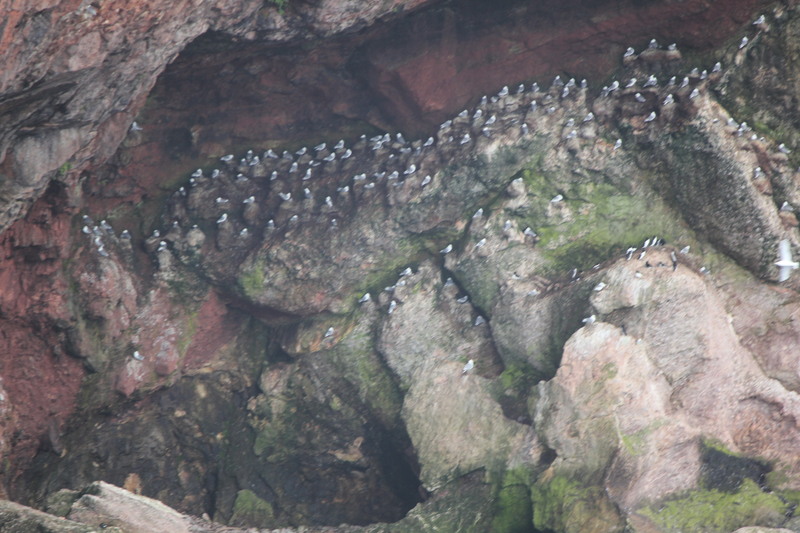 Boat tours take you around the rock, then out to Bonaventure Island to see the bird colonies. 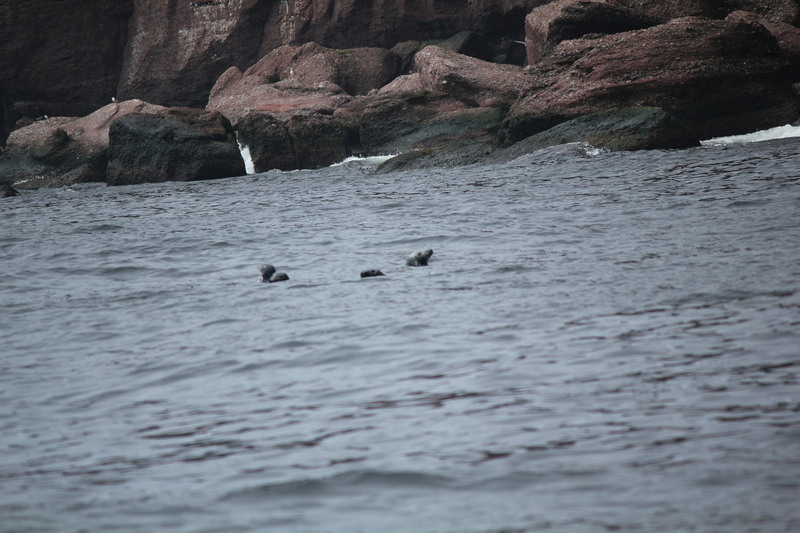 You may even spot a few seals along the rocks. 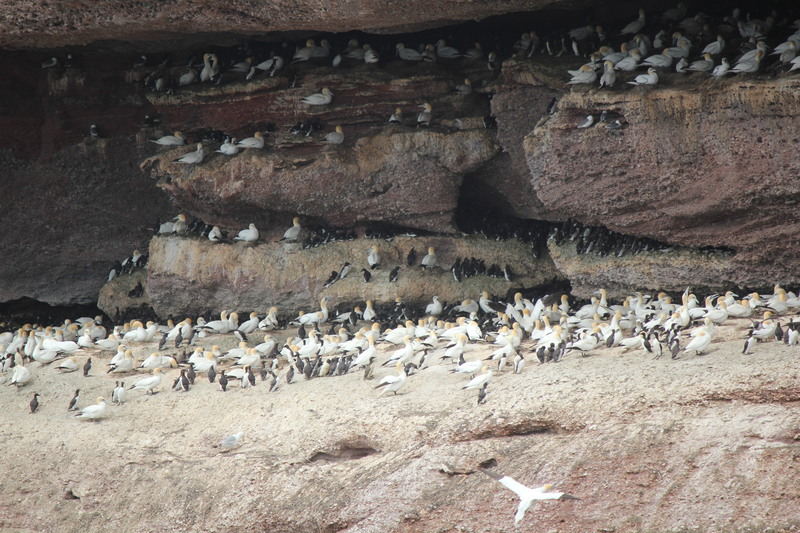 The boat makes one stop on the island where you will be met by National Park Guides who will tell you about the trails on the island to see some of the wildlife. 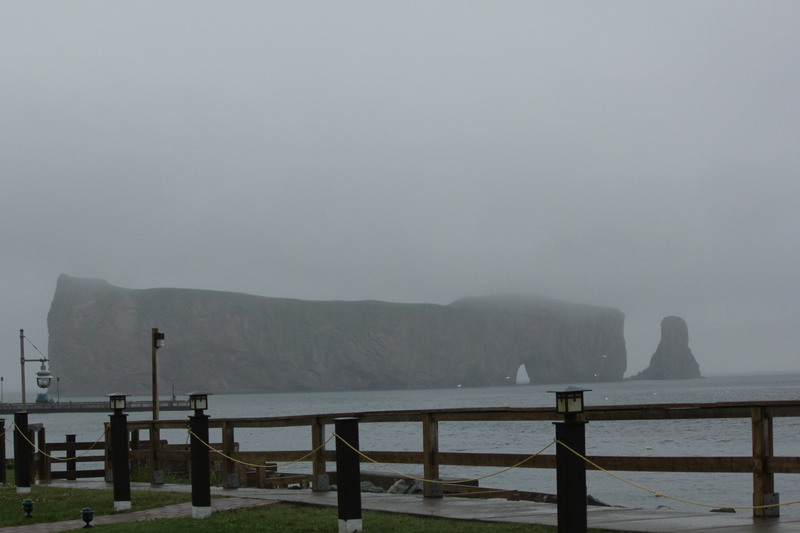 There is a boat pickup every hour until 4:00 PM. 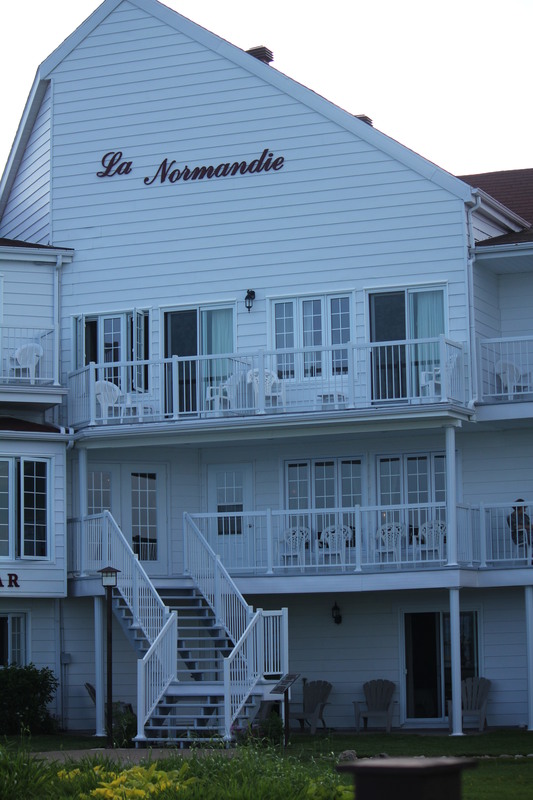 There are a number of restaurants in town, including a very nice one at La Normandie hotel. 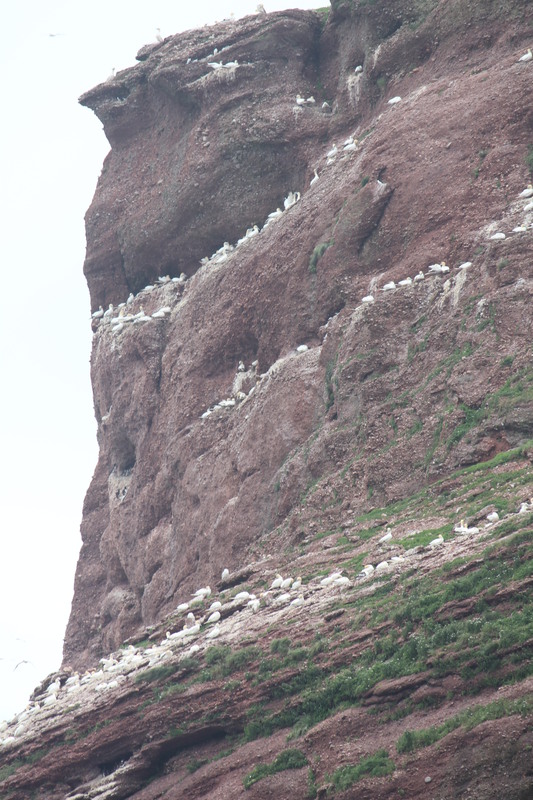 We stopped in one restaurant, opting to go in the `back door`which ended up being where the locals go. We had a wonderful chat with a family out celebrating a birthday. They convinced the bartender to make a caipirinha for me. Since he did not have any cachaça, the bartender went to the local liquor store and bought some, making me two of the best ones I`ve ever had! 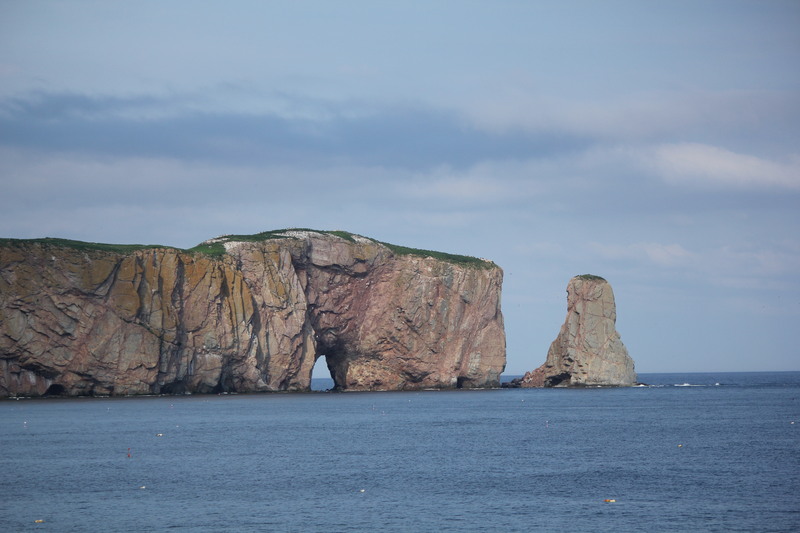 If you love nature, a laid-back attitude, beautiful scenery and great food, go the Percé. I cannot wait to go back!